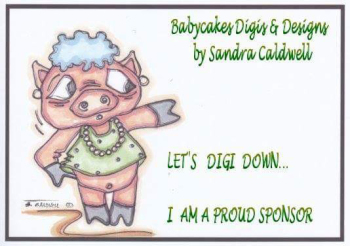 cards and creativity: Progressive Freebie challenge at The Outlawz! Wow, how can time goes by so fast!! It is August already so that means a new Progressive challenge at The Outlawz!! I just love this funny image!! So if you want to join, register at The Outlawz at the Progressive challenge!! Such fun and great colours for her Sandra.